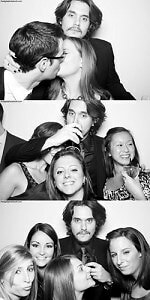 John Mayer has been popping up at Holiday parties all over town, most recently acting as a built-in prop for the IAC bash's photo booth. What was he doing there? Does he really love X-Mas? Is he suffering from a killer candy cane addiction? Or maybe, he was walking by and decided to stop in? The answer is not so random; it's romance. Or rather, an epic and whirlwind bromance. John has been acting as the arm candy of College Humor founder Ricky Van Veen, accompanying him to various parties around town. 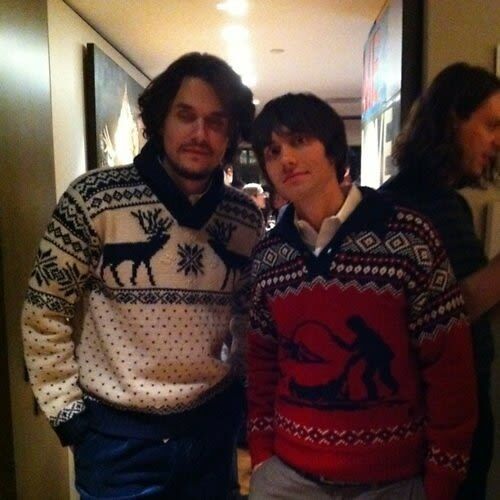 For one tech event they even planned their outfits, showing up in coordinating Christmas sweaters. Have you ever seen anything more adorable? It's truly a love story for the ages.